First off, how do you say manga?! Since this is a Japanese word that has been adopted by many languages, including English, there is no one “right” answer, but here at VIZ Media we pronounce it “mahn-gah,” which is pretty close to the original Japanese pronunciation. Put simply, manga is a Japanese form of comics. While manga has similarities to American comics, there are some stylistic aspects that distinguish them, such as bigger eyes on characters and more speed lines in action scenes, and they are typically done in black-and-white, with lots of cool visual sound effects. Another important difference from Western comics is that Japanese comics read from right to left, so always start reading from the “back,” which is actually the manga’s front—it feels a little strange a first, but you’ll get used to it. Reading right to left is important to maintain the flow of action from panel to panel and page to page as it was originally intended by the artist, or mangaka, as manga artists are called. Mainly, though, manga is known for great characters, rich stories, excellent artwork, and exciting, imaginative worlds. For over thirty years, VIZ Media has brought the best in manga to the English-speaking world. What are some types of manga? Manga is a wonderfully diverse art form that’s globally appealing across age and gender. VIZ Media publishes over three hundred unique series, including award winners by some of the best creators in the field. Do you like battling ninjas, lovelorn vampires, wild pirate adventurers, creepy ghouls, or samurai warriors? They’re all here! We even have manga about cooking! While there are many manga types, you will often hear about the two most popular categories: shonen and shojo. Shonen literally means “boy,” but this type of manga has appeal across gender and age groups. Shonen tends toward fantastic action-adventure stories with awesome fight scenes, epic story lines in fabulous worlds, and a spirit of teamwork. Prime examples of the shonen genre include Naruto, One-Punch Man, and Dragon Ball. Shojo means “girl” but, like shonen, can have a broader appeal. After all, who doesn’t love romance? And similar to shonen, shojo are often set in fantastic worlds with compelling characters and fascinating situations, only with more focus on drama, relationships, and, well, life! Ouran High School Host Club and Vampire Knight are great series to start with. In Japan, manga starts out serialized in chapter format, along with other manga series, in monthly or weekly anthologies such as Weekly Shonen Jump. Unlike American comics, which are released individually on a series-by-series basis, manga is grouped by interest or type in these anthologies. And these anthologies can get gigantic! Once a manga has been serialized for a while, the chapters are collected into graphic novels. Sometimes, if a series is very successful, the graphic novels will be republished in special omnibus editions, which can include two or three volumes in one beautifully printed edition (One Piece and Ranma ½ are great examples), some including specially drawn full-color artwork, like in our Monster: Perfect and Death Note Black editions. In addition, spin-off art books and special releases, including novels, are often published for some of our more popular series, such as Naruto and Tokyo Ghoul. VIZ Media is not only the largest publisher of manga in North America—we are also a leading distributor of the best anime. Anime is Japanese animation of stories that are often based on manga, so it tends to have similar stylistic aspects to manga—though in full color and featuring great voice actors! Most of our top anime is in television series format, but we also release movies, especially if they are based on a series we’ve released. Two of our most popular series, Bleach and Pokémon, are available in TV and movie formats. Anime in Japan works a lot like animation in Western countries: series initially air on television, and then movies premiere in theaters. VIZ Media, along with other studios, licenses the anime and, in most cases, dubs them into English with an entirely new English-speaking voice cast. Since more work is involved in the studio dubbing process, there’s an inevitable time delay in bringing the best anime to English speakers. With streaming services, however, we can release anime simultaneously with Japan in an English-subtitled format. 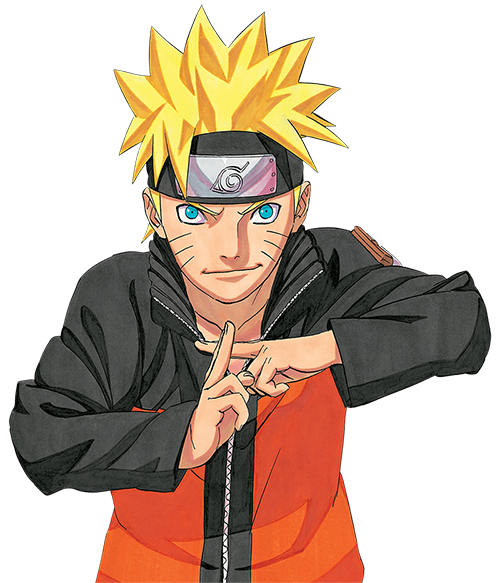 Naruto Shippuden is a fan-favorite simulcast. In addition, Sailor Moon and Inuyasha are great shows to start streaming for free. Aside from watching anime on popular streaming services, including right here on VIZ.com, you can see anime on the Toonami block on Adult Swim. We also release anime to own on Blu-ray and DVD and by digital download, such as with Hunter x Hunter. Yes! Anime inspires a host of great products related to these popular series. We’re talking about video games, toys, cool T-shirts, posters, calendars, and a ton more. When you discover a series you love, check out your favorite retailers and see what they have! Where can I buy VIZ Media manga and anime? You can also use the Diamond Comic Shop Locator to find a comic shop near you that may carry our titles. You can purchase digital volumes of our titles through the VIZ.com website, as well as by using the VIZ app, available through the Apple App Store and the Google Play Store. What’s a VIZ account, and how does it work? A VIZ account allows you to purchase digital products, follow your favorite series, make comments, and receive news and updates from VIZ Media. To create an account, click here and enter your information. If you already have an account, you can access it here. To see your digital purchases, visit the My Library section. How do I find out about new releases? You can check out our Release Calendar to find out when your favorite manga and anime titles will be coming out. Are there any other resources where I can catch up on the latest news from VIZ Media? Yes! We’re active on Facebook, Instagram, Twitter, Snapchat and YouTube! Yes. Please see our Apps page to learn more. Operating system requirements: iOS, version iOS 9.0 or later; Android, Android 6.0 Marshmallow or later. The merchandise I purchased is defective. Can you send a replacement? Please contact the store where you originally purchased the defective product for all returns and exchanges, as VIZ Media is not the manufacturer. For home video products, the store can help with damaged discs and other product issues. However, if you believe the content of the DVD/Blu-ray may contain an issue, please provide us with as much information as possible. To redeem a gift, go here. What is the VIZ Fan Zone, and how to do I get my content featured there? The VIZ Fan Zone is a gallery of curated fan-created art, cosplay, and other cool photos. To submit directly, click the “Submit photo” button on the Fan Zone page. I want to start a manga book club. Do you have more information? VIZ Media is a proud partner with the CBDLF, and they’ve created his useful Manga Book Club Handbook. Shonen Jump is known worldwide as home of the world’s greatest manga. A new era of Shonen Jump has begun, and the latest chapters of 25 different Shonen Jump series will be released on the same day as Japan and available to everyone for free at Shonen Jump! The newest 3 chapters of ongoing series will also be available for free, with many new series to come! In addition, Shonen Jump members can unlock up to 100 chapters every day from the Shonen Jump digital vault of 10,000+ manga chapters! Catch up and read every chapter of hits like One Piece, My Hero Academia, Dragon Ball Super and Boruto: Naruto Next Generations. Reread favorites like Naruto, Bleach and Death Note, or discover hot new series like The Promised Neverland, Dr. STONE, and more! How can I keep up with the latest Shonen Jump news? The best way to find the latest info about Shonen Jump is by visiting the official website or the official Shonen Jump Twitter. How can I become a Shonen Jump member? For only $1.99/month, you can unlock up to 100 chapters every day from the Shonen Jump digital vault of 10,000+ manga chapters! Your first week is free*, and you can purchase a membership from us here or through in-app purchases on your mobile device. For more information about the mobile apps, please visit our VIZ apps page. Operating system requirements: iOS, version iOS 9.0 or later; Android, Android 6.0 Marshmallow or later. For any questions about memberships, please email sjsupport@viz.com. Cancel your membership prior to the end of your trial period if you do not wish to pay for the monthly auto-renewing membership. How do I renew my Shonen Jump membership? Your membership will automatically renew every month, unless you cancel your membership prior to the end of the current billing period. Shonen Jump is known worldwide as home of the world’s greatest manga. All current paid annual Weekly Shonen Jump members as of December 17, 2018 will also receive an additional 3 months free added to their new Shonen Jump membership. Your membership has been automatically converted – no additional action is required. To renew your membership at the end of your 3 months free period, please go to Manage Your Membership. How can I cancel my monthly auto-renewing Shonen Jump membership? If you purchased the Shonen Jump subscription through our site, you can cancel your monthly auto-renewing membership at any time through the Manage Your Membership page. Please see below for more information on how to cancel any Shonen Jump memberships purchased through our Shonen Jump apps. Tap the subscription you want to manage, and use the provided options. You can also manage your iOS subscriptions on your computer through iTunes. For detailed instructions and additional information, please visit https://support.apple.com/en-us/HT202039. Find the subscription you’d like to cancel. You can also manage your Android subscriptions on your computer through play.google.com. For detailed instructions and additional information, please visit https://support.google.com/googleplay/answer/7018481. For more information about the mobile apps, please visit our VIZ apps page. How do I redeem a Shonen Jump gift? To redeem a previously purchased gift, go here. We are not currently offering gift memberships options for the new Shonen Jump yet. Can I read to Shonen Jump outside of North America? Fans in the U.S., Canada, the United Kingdom, Ireland, New Zealand, Australia, South Africa, the Philippines, Singapore, and India can access the new FREE Shonen Jump, as well as become a member to unlock the Shonen Jump vault of more than 10,000 chapters! When are Shonen Jump chapters released? Please check out the release schedule for all our simultaneous Shonen Jump chapters here. How can I read Shonen Jump? Shonen Jump can be accessed through our site here on any internet-enabled device with a web browser. For mobile devices, such as smartphones and tablets, you can also access chapters through the VIZ Manga or Shonen Jump app. Do I get to keep my previously purchased issues of issues of Weekly Shonen Jump? Yes. Weekly Shonen Jump issues, whether purchased as individual issues or through a yearly membership, are yours to keep! They are archived in your account’s My Library. Will Shonen Jump members receive Yu-Gi-Oh! TCG cards? Can I submit my story ideas or manga to Shonen Jump? At this time we are not accepting any original content—all of the manga you see in Shonen Jump comes directly from the Japanese Weekly Shonen Jump magazine and its partners. Our office mainly licenses and distributes Japanese products, rather than publishing original works. If any contests open up for original manga submissions, we’ll be sure to let our fans know via our social media channels and websites. Where do I send in my Shonen Jump fan art, and when will it be published? You can submit your fan art here! Since we receive numerous submissions on a daily basis, we unfortunately cannot publish every piece of art. Please check out the latest issues as well as our Shonen Jump blog to find out whether or not your fan art was published. Where can my digital purchases be viewed? Any purchases made through your VIZ account will be available to view in your VIZ.com library, as well as on the VIZ app for Android and iOS. Any purchases made on Google Play, Kindle, and iBooks are able to be viewed on their respective devices. Mature content can be bought and viewed only through Kindle, Google Play, and iBooks. How do I redeem a digital manga gift? Why can’t I purchase my mature digital manga volumes through the VIZ Manga app? Our mature digital manga volumes are not available for purchase through the VIZ Manga app due to the app’s content restrictions. They are accessible through VIZ.com, however. After purchasing the volume on our website, you are able to read the mature manga on your mobile device. Please remember to log in to the same account you used to purchase the volume. I am interested in obtaining a license for a particular VIZ Media property. What steps do I need to take? To determine whether or not you meet the requirements to license a VIZ Media property, please view the Prospective Licensee Application. If you would like to make a proposal, please complete the Licensing Proposal Form. My library / anime club / convention is having an event. Can we get permission to screen VIZ Media anime titles? Thanks so much for your interest in screening VIZ Media titles at your event! Please fill out the Viewing Permission Form. My library / anime club / convention is having an event. Can you donate promotional items and/or prizes? Thanks so much for reaching out! Please fill out the Donation Request Form. I want to work for VIZ Media! Are there any current openings? You can view all current job openings on the Jobs page here at VIZ.com! You can also keep an eye on the VIZ HR Twitter (@VIZHR) for the latest updates. How do I get my foot in the manga industry, and do I need to know Japanese? Nope, you don’t need to know Japanese, although it is helpful to know! There are many roles within the manga industry that do not require a mastery of the Japanese language. There is a multitude of information about the manga industry available online—Anime News Network and ICv2 are two great resources you can browse. For an entertaining and informative look at Japan’s manga industry, we encourage you to check out the manga Bakuman｡. There are many ways to get your foot in the door. We collaborate with studios, mostly in the Los Angeles area, who work with local agents to cast the shows. If you’d like to pursue a career in anime voice acting, you’ll need to be based in the Los Angeles area and find a voice-over agent who’ll help you secure roles. We wish you the best of luck! There is a multitude of information about the anime industry available online— Anime News Network is a great resource you can browse. For an entertaining and informative look at the anime industry, we encourage you to check out the manga Voice Over. How can I get in touch with a manga creator? I have questions and concerns not answered in this FAQ. How can I contact VIZ? Contact us through our Customer Support form. A customer support representative will follow up with you as soon as possible.